If you're looking for places to stay near Glasgow, you'll find plenty of beautiful accommodation options that are under an hour's drive of Glasgow city centre. Perfect if you want a countryside break and are travelling from Glasgow, or a holiday in the country with easy access to Glasgow’s top attractions. Boutique B&Bs with stylish interiors, hotels with amazing views, charming self-catering lodges - these accommodation options are all beautiful in their own way and ideal for a country break and exploring great places to visit near Glasgow. 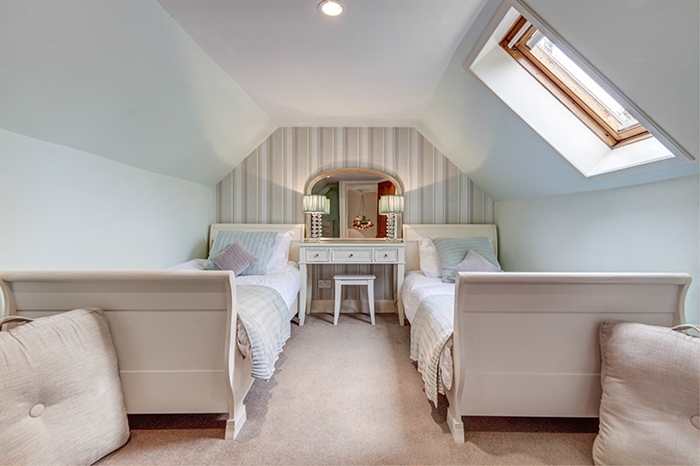 Choose from three luxury bedrooms at the 4-star Gold No 20 Boutique B&B in Helensburgh. At 28 miles (45 km) from Glasgow city centre, it's perfect for an overnight trip from Glasgow. Located on the peaceful banks of the Clyde Estuary, you'll enjoy views over the water, relax by the log fire and tuck into breakfast made with locally sourced ingredients. See all accommodation near Helensburgh. Located in the seaside town of Ayr, Ayrs & Graces B&B is a boutique 5-star Gold bed and breakfast, that's located 37 miles (60 km) from Glasgow. The two luxury bedrooms and suite have all been stylishly decorated and are the perfect place to relax after a day on the beach, at the races, or playing on one of the area's excellent golf courses. Find places to stay near Ayr. You can hire the dreamy 5-star castle at Blair Estate for a wedding or special event to remember! 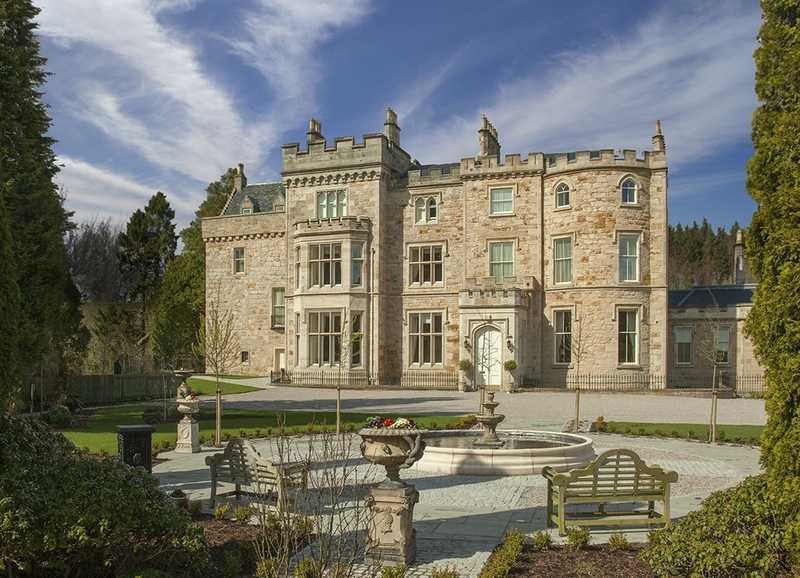 Located 27 miles (43 km) from Glasgow, amongst 250 acres of woodland, parkland and private gardens, the castle boast 17 bedrooms and there are also self-catering options within the estate. 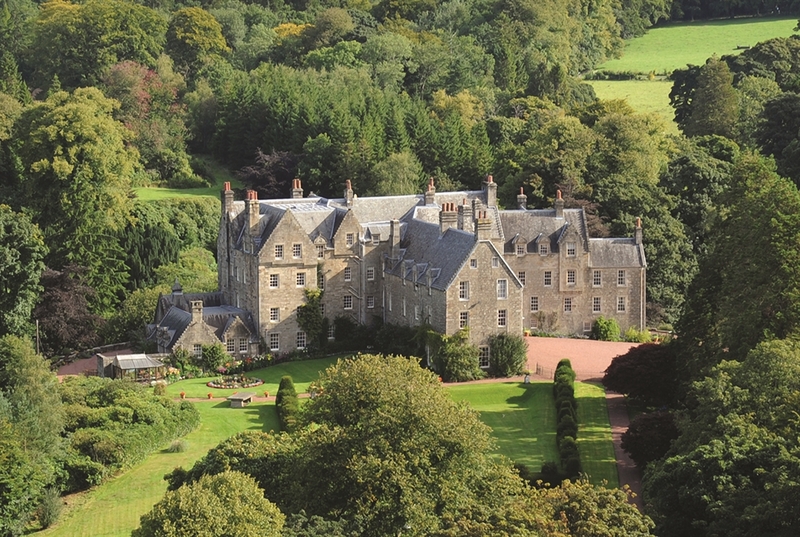 See more castle accommodation in Ayrshire. An exquisite 5-star Gold Perthshire mansion, Cromlix Hotel is 36 miles (58 km) from Glasgow and owned by Scottish tennis star Andy Murray. The five suites and ten bedrooms feature antique Scottish furniture, complimented by elegant 21st century interior design. And you can also can indulge in delicious dishes at the Chez Roux restaurant. Explore all accommodation near Dunblane. 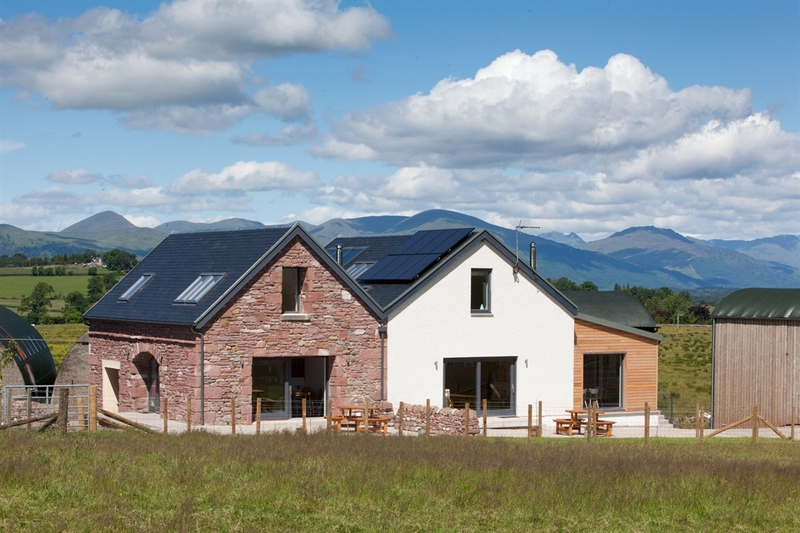 Near the southern shore of Loch Lomond, 30 miles (48 km) from Glasgow, East Cambusmoon Holiday Cottages are two luxury eco-friendly places to stay on a five acre smallholding in Loch Lomond & The Trossachs National Park. Perfectly located for a host of outdoor activities, they are charmingly renovated with modern perks such as underfloor heating. 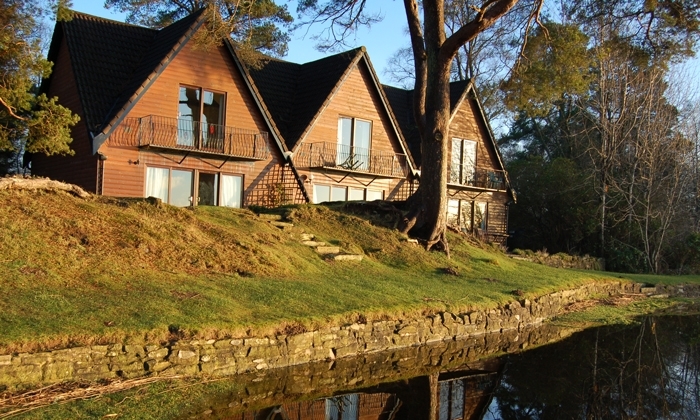 Discover more accommodation near Loch Lomond. Tucked away on the Rosneath Peninsula in Argyll and 47 miles (76 km) from Glasgow, you can really get away from it all at Knockderry House. 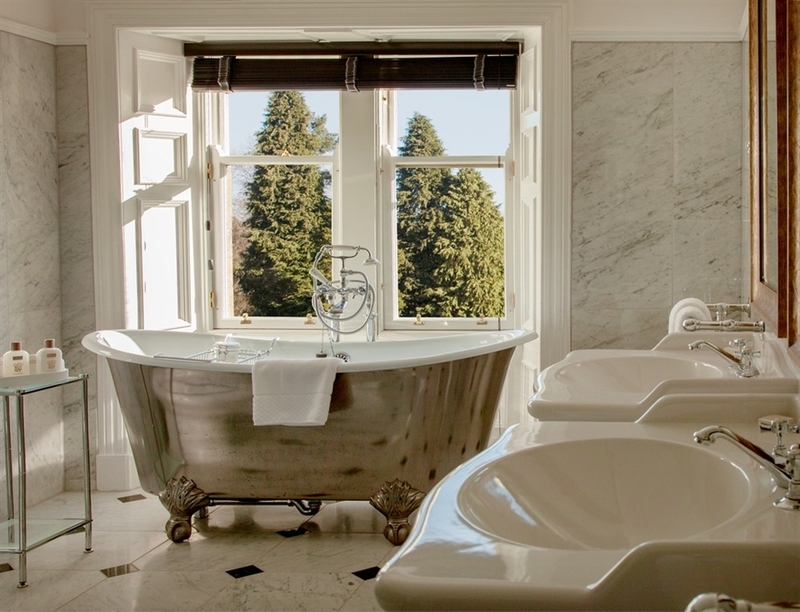 A 4-star, 19th century house by Loch Long, it features 15 bedrooms, including the grand Library Suite and offers an award-winning fine dining experience. Find more accommodation near Rosneath. Sleek modern chalets and traditional wooden lodges await at Lochend Chalets by the Lake of Menteith in Loch Lomond & The Trossachs National Park, 29 miles (46 km) from Glasgow. Awarded 3 - 4 stars, they sleep from 4 to 8 people, and you can also choose the Coach House cottage, which has an outdoor hot tub and sleeps 10. 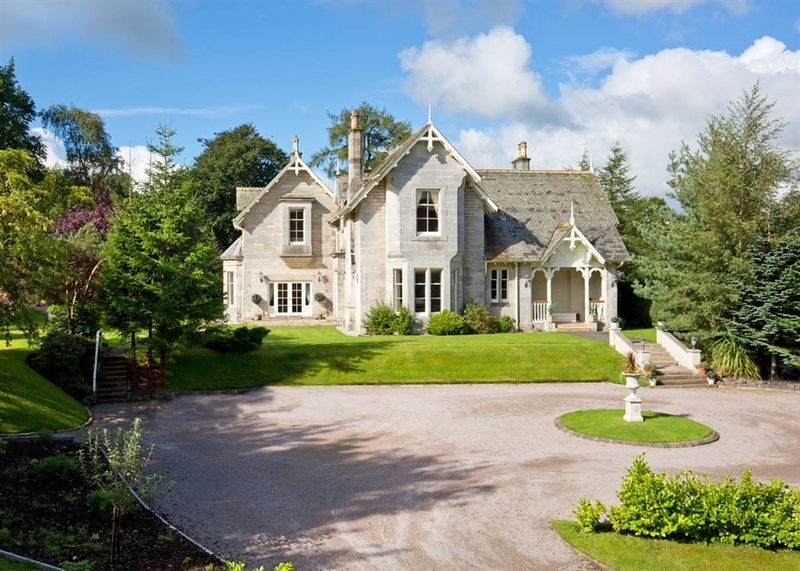 Find more accommodation near the Port of Menteith. Get back to nature and admire Loch Lomond from your canvas tent at Portnellan Farm Glamping, 31 miles (50 km) from Glasgow. Sleeping up to four, the tent is located next to the Old Byre, where you'll find cooking and washing facilities. The farm has its own pier and offers various activities out on the loch, so you'll be sorted for things to do. 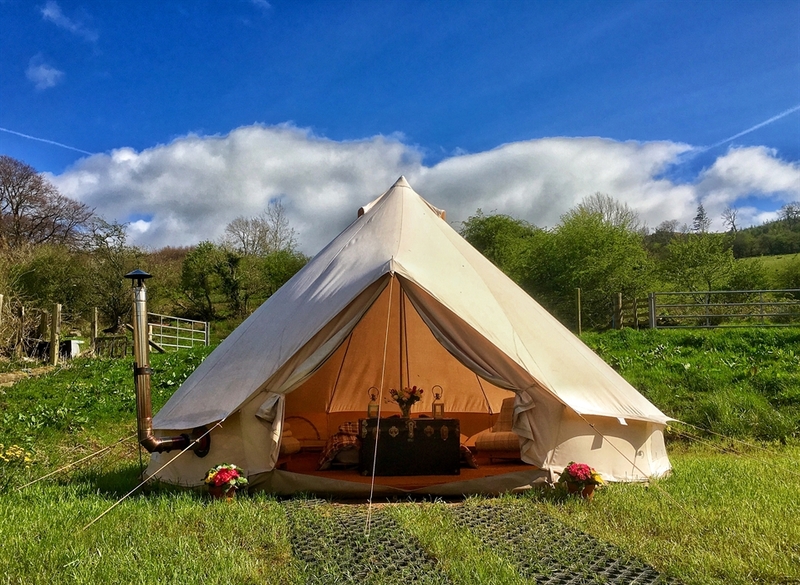 See more glamping and camping options near Glasgow. Escape to the Ayrshire coast for a refreshing break at the 4-star Seamill Hydro Hotel and Resort, 42 miles (68 km) from Glasgow. 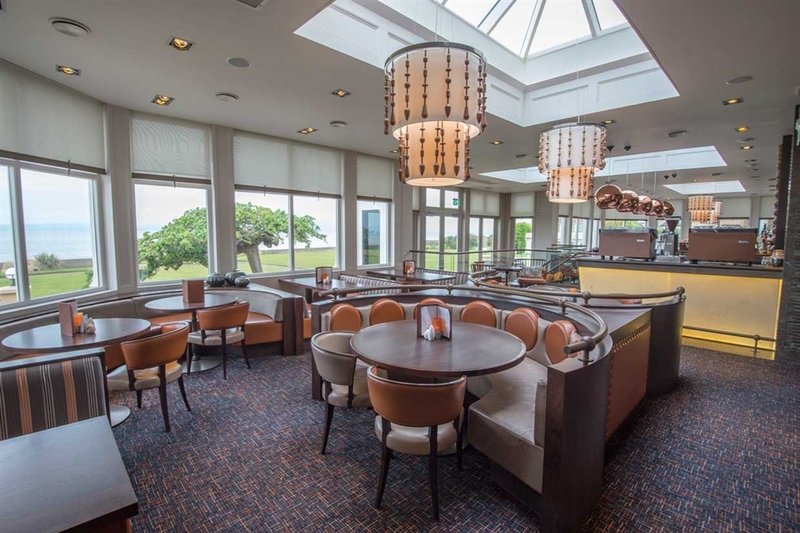 This Victorian hotel on the banks of the Firth of Clyde has an excellent leisure club where you can work out in the gym or wind down with a massage, and offers sea views from the Orangery Restaurant. Discover more places to stay near West Kilbride. Sleeping eight guests, The Strone in Luss on the banks of Loch Lomond is 5-star, 27 miles (43 km) from Glasgow, and sleeps up to 10 guests. Perfect for a family gathering, it has plenty of outdoor space including a play area for children and back yard barbeque. Guests can also make use of the mountain bikes, dinghy and Canadian canoe! See more places to stay near Luss. Tucked between Hamilton and East Kilbride, Crossbasket Castle is a 5-star, 17th century castle just 15 miles (24 km) from Glasgow city centre. The nine bedrooms, including doubles, twins and suites, have been tastefully decorated in sumptuous period style, and there is also a two bedroom self-catering lodge on the estate. For an extra special dining experience, book into the hotel's Albert & Michel Roux Jr Restaurant. Explore more accommodation near Blantyre.